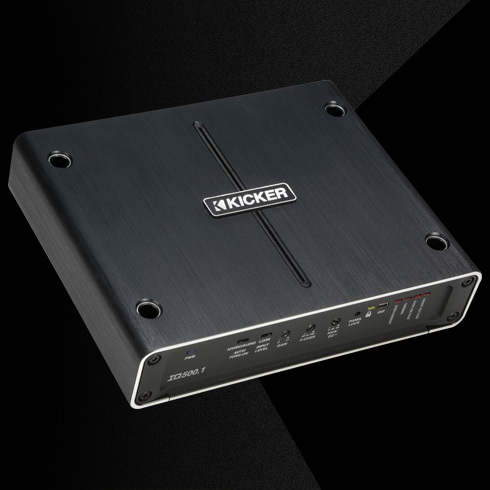 Kicker Audio IQ500.1 Q-Class Mono Amplifier 500 Watts Kicker Audio IQ500.1 Mono Q-Class Amplifier 500 Watts, Kicker Audio 42IQ5001 Mono Amp, 500 Watts Mono Amp, 500 Watts Q-Class Amp, Kicker 500 Watts Amp, Kicker Audio 500 Watts Amp, Kicker Audio 500 Watts Mono Amp, Kicker 500 Watts Mono Amp, Kicker Audio [Kicker Audio 42IQ5001 Mono Amp] - $499.95 : 3rd Strike Performance, Your Source for Late Model MOPAR Performance Parts and Accessories! The IQ500.1 Mono Amplifier delivers power in a sophisticated yet simplistic design. 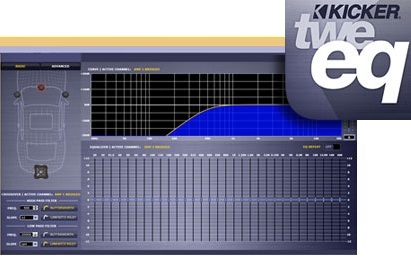 Best described as “cutting-edge” yet remarkably easy to use, the amplifier includes a highly configurable digital signal processor called TWEEQ. Using the included USB cable, your PC instantly becomes a powerful graphic interface for unrivaled acoustic control. The IQ500.1 delivers 250 watts at 4Ω and 500 watts at 2Ω. Want to TWEEQ your system wirelessly? Simply add the IQI Intelligent Interface and control as many as four IQ amplifiers with Bluetooth®!